Combat Commander expertly takes tried and true historical weapon designs and updates them for modern warfare. 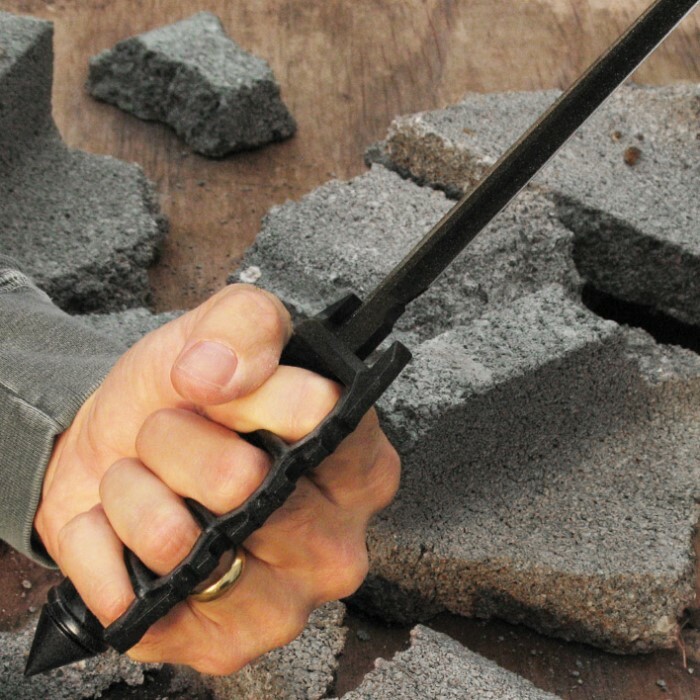 The Trench Knife is a sleek and modern, battle-ready version of the iconic trench knife. It has a 7 1/2” 1065 high carbon steel blade with a hard, black coating. The traditional knuckle knife handle has been given a tactical upgrade and features a skull crusher pommel. 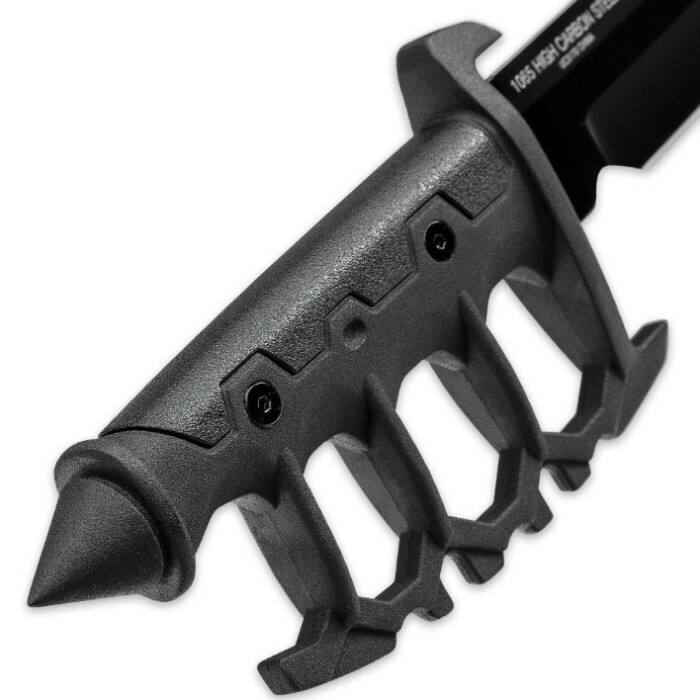 The handle is of cast metal with no-slip rubberized grip inserts. A nylon sheath with fastening grommets houses the blade. 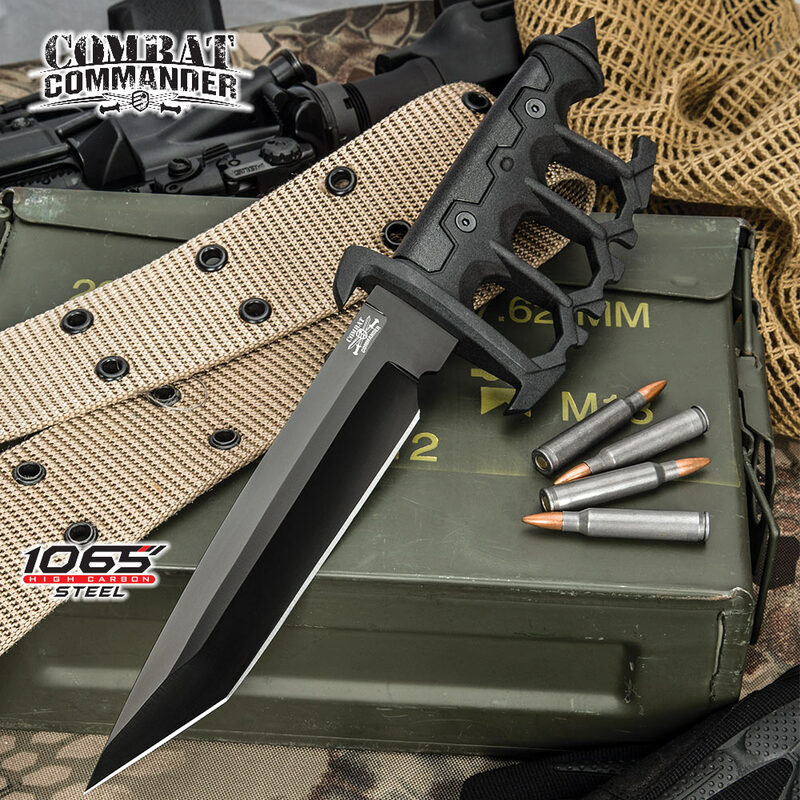 As always, Combat Commander is your go-to for tactical, high-quality weapons that will back you up! Combat Commander Thrax Gladius / Gladiator Sword - 1065 High Carbon Steel, Black - Rubberized TPR - Heavy Duty Nylon Belt Sheath - Modern Tactical Take on Ancient Roman / Thracian Sica - 24"
Got to admit the design caught my eye. So attractive I got it. I seems to be ruggedly made and the sheath for it has an inner lining also. Serves its purpose. Got this trench knife as an afterthought on a recent purchase. Once I started testing it out, it quickly started to impress. Rock solid knife, sharp blade, and good edge retention. If I need a close quarters weapon, I’m grabbing this baby. Knife is exactly what it says. Great quality! Best trench knife I ever owned. 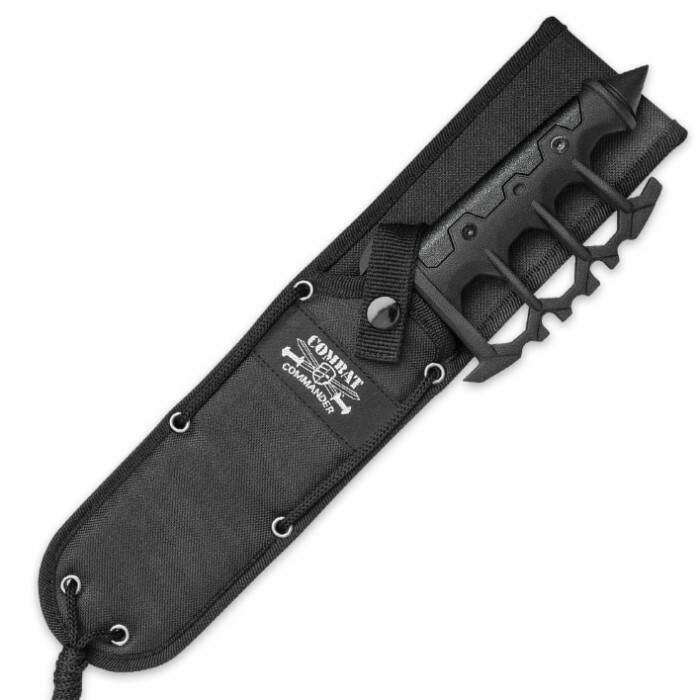 This trench knife is my new favorite. The pommel is built for doing damage, the knuckle guard is solid, and the blade comes as sharp as can be. The only thing is that it needs to be oiled regularly with it being high carbon steel as oppose to stainless. This is the ultimate defender and it means business. As I mentioned above, this is my absolute favorite knife because the whole thing is built for battle. You will not find a better knife for this price. Also, the heft is perfect for me, it has enough weight to make a wicked punch far more wicked and it is balanced perfectly, and it is surprisingly comfortable to hold. I am very happy.